Home » Resources » Why is Blood from Afro-Caribbean Donors Special? As you probably know, your blood group is inherited from your parents. When you become a blood donor you are grouped as Group O, Group A, Group B or Group AB, and your blood donor certificate book also tells you whether you are Rh (Rhesus) D negative or positive. However, there are many more blood groups (about 23) which can be identified. When we look at these we realise that the combinations are endless, and that no two people (except identical twins) will have exactly the same blood groups. Is blood from Afro-Caribbean donors different? Very often it is, because the distribution of blood groups varies throughout the world. For example, 85% of Europeans are Rh (Rhesus) D positive, about 95% of West Africans are Rh D positive but among the Chinese the figure is 100%. Group B is fairly uncommon in Europeans – 14%, but 35% of Chinese have this group. Why do we need blood with these special groups? Briefly, for patients with these special groups. Before any blood transfusion is given, the hospital would check the patient’s ABO and Rh group and test to see if the blood contained antibodies to a selection of other blood groups. An individual who has never received a blood transfusion is unlikely to possess any antibodies. Blood of the same ABO and Rh group can be transfused with no need to match for any of the blood groups. Patients who receive many blood transfusions do develop antibodies to blood groups other than their own and this can make it very difficult to find blood which will be compatible with them. 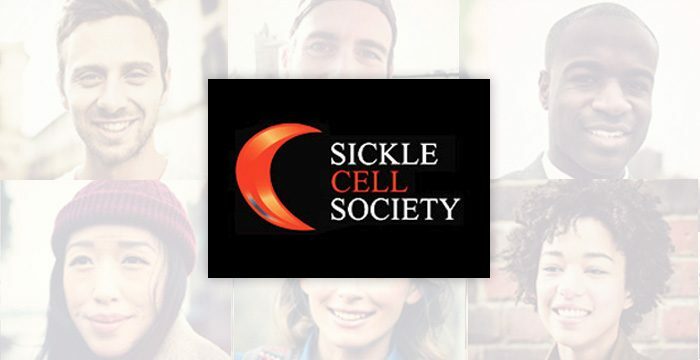 One group of patients who may have blood transfusions are those with sickle cell disease. As you may know, this inherited condition most commonly occurs in black people and these are the people who, as we have seen, have “special” blood groups. Therefore we need to find donors who also have these special blood groups and they will mostly be Afro-Caribbean donors. How are Afro-Caribbean donors identified? When a donor enrols asking the laboratory to do a “sickle cell test” helps in two ways. Firstly, we find out which donors are carriers for sickle cell disease, and we are able to inform them accordingly. Their blood should not be transfused to sickle cell patients, but we can use it for all other patients. Secondly, blood from donors marked “sickle cell test” is fully grouped in our laboratory so that we know about any donor who has a special blood group. Over 2200 black donors have been screened in this way and at least 100 are fully grouped and on our special panel. These donors may be called specially to make donations for particular patients whose blood is hard to match. Such patients may be in London, but we also help to supply blood for black patients in areas covered by other transfusion centres. Some patients need blood which is very rare indeed, even among black people. Please attend regularly to give blood. Blood can be frozen if it is very valuable and not needed immediately (blood can be stored frozen for years). Agree to go on the International Panel of Donors, if invited, so that we may call you specially, perhaps a little sooner than usual. Perhaps most important of all – KEEP IN TOUCH. If you have changed your address please inform NHS Blood and Transplant. Many donors are lost each year because they have changed thier address.